The flowers always play a huge part in any wedding decor and you need a lot of them for any kind of impact, especially in a bare paddock. We are not professionals by any means and I think this goes to prove that with some help and YouTube tutorials, almost anyone can pull off some pretty floral decorations. Firstly make sure you know what style the bride is expecting; casual, cottage, field or formal, colour specific and traditional. Next really take a mental snapshot of the time of year and what will be growing then. Start assembling some lists of flower contributors and don't forget the very important green fillers. 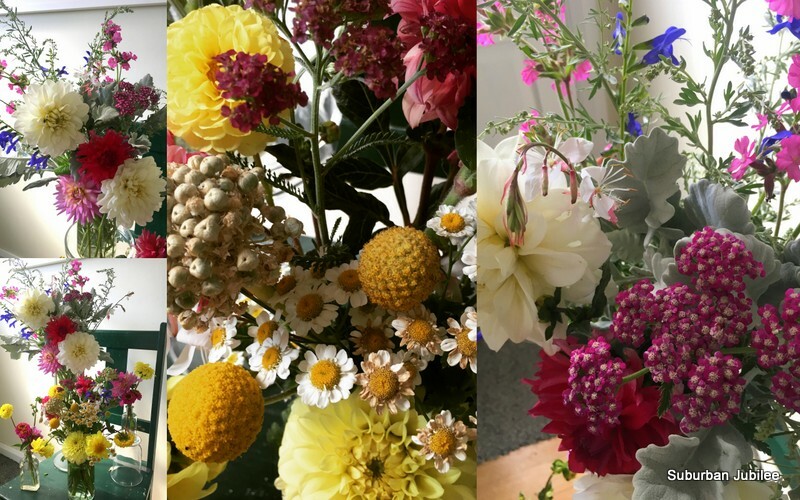 One of the tools I found useful was to collate pictures of in season flowers on a pintrest board and share this with the bride so she has the story too. Start putting some flowers together in arrangements to see how the colours and textures sit together and more importantly see how they fare over the next few days for their durability after being cut. Before the big week it's time to make checklists and start assembling the vessels, lighting etc. If you are decorating a marquee you will need a very tall ladder; the six footer is not going to cut it. Some of the more obvious equipment will include but not limited to: secateurs, gaffer tape, chicken wire, florist wire, cutters and oasis foam but don't forget a staple gun, impact drill, batteries, rubber bands. cable ties, needle and thread and a spray bottle of water. A folding trestle table will be invaluable and take insect repellent! 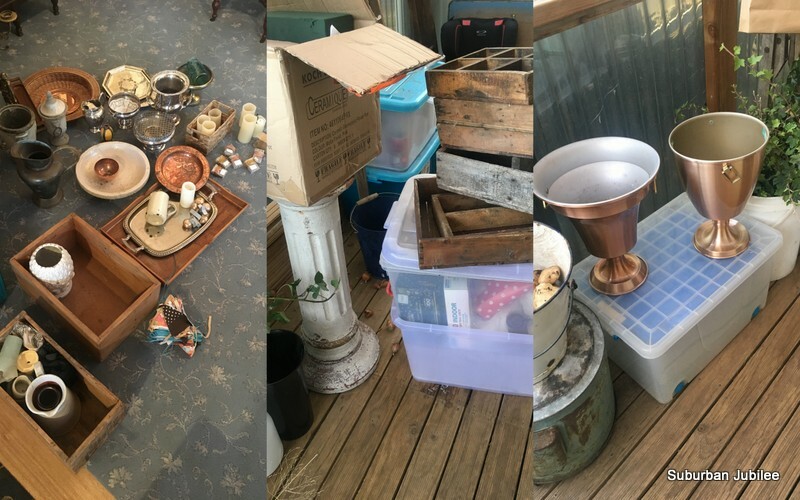 I was fortunate to have the the back of the ute to work with when I was packing the flowers, otherwise, set up a table to save a lot of back breaking. Cutting started at dawn and you need to allow yourself a good couple of hours or more for this job. These "Pierre De Ronsard" and "Naheema" roses were the key flowers in all the ceremony arrangements; that is the bridal arch, the signing table and the large urn backdrop. It's good to bear in mind not just the "prettiness" of the effect you are creating but also backdrops for the photos. Sedums were the huge hero of the day and coped quite well with the 39C heat and wind when all else was flagging. They filled arrangements elegantly but be warned, the bees LOVE them and several varieties of bees came from everywhere to sup at their cups. Top right is the lovely silvery velvet of Dusty Miller, also durable and a great contrast. Down in the bottom left is the old alium heads that were great structural additions in tall arrangements as were the dried towering russet seed heads of the giant ruby rhubarb that I grow, pictured below. These looked amazing in a really large spectacular dimension arrangement in my urn on a column. You'll have to take my word for it as there are no photos because just before the happy couple arrived at the ceremony, the wind captured it's magnificent proportions and propelled it to the ground where the urn smashed. All we could do was quickly kick it to one side out of view. We managed to salvage most of the pieces and Craig has glued it back together and it looks a vision of antiquity and will live another day at another event some time I'm sure. In the absence of a van, the flowers had to travel in my car as they would have been devastated by the wind on the back of the ute. Very tall bucket meant I could travel with water in the bottom but a few bumps in the road would not cause spillage. I have a huge ream of wrapping paper that I bought from a florist supplier years ago and it really came into it's own. Every bunch was wrapped in neat cones to protect the flowers during travel, limit their expiration and make packing into the buckets safe and easy. Greenery is just as important as the pretty stems too. I had a whole bucket tightly packed of ivy: IMPORTANT- this is highly irritating so wear long sleeves and gloves (also another vital to add to your packing list) when working with it. I had two buckets of lovely hardy spinning gum cuttings and a great sheaf of twisted willow. I also had large stems of agapanthus (flowers spent) which I cut the seeds from creating balls of green globulous sticks. Very striking. I had been watching the long term weather forecast avidly and it became more and more apparent that we would be in the middle of a scorching heat wave. That is why I decided to add in some dried elements. This massive bunch of Love-In-A-Mist gone to seed would become the central feature in the marquee with woven bud lights through it. I knew a massive fresh ball of floristry was going to be problematic. I had the car absolutely packed as tight as a sardine can and boy was I glad to get to the other end. Two hours inside a closed car full of flowers and greenery was overpowering! The shearer took all the hardware on the ute along with the ladder and urns etc. At the other end the buckets were placed in a cool dark part of the house where they remained from Thursday until Saturday morning when they were taken to the site. IMPORTANT - Check their water during this cool store time and top up. You'll be surprised just how much they'll go through. On Saturday morning at dawn we picked more roses, dahlias and the gorgeous lemon ginger flowers seen above from my daughter's garden. Everything arrived at the venue in tip top condition and we worked fast and furiously for a few hours. It was so unfortunate that we had such unseasonable weather. There is not much you can do about it but be ready to adapt and be fluid with your ideas. 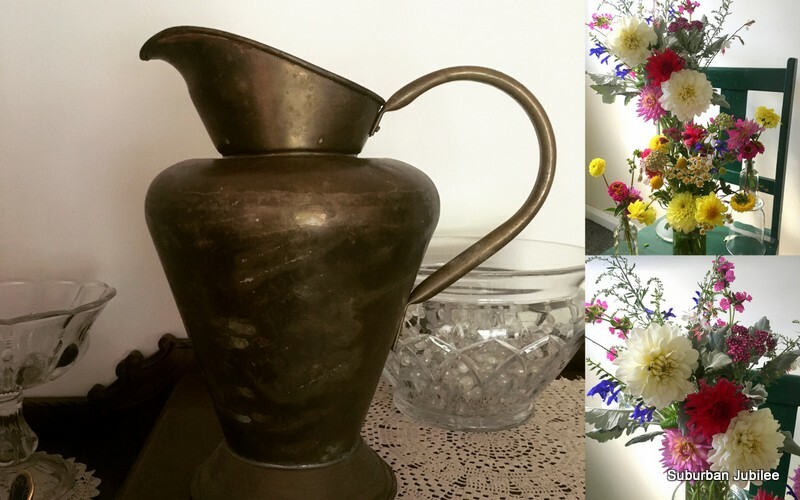 When I look at these photos and remember the day and the flowers, those family, friends and neighbours wove themselves into the very fabric of the memories of that day. I can't help but look at the bridal arch and think of Dino and his beautiful garden that I am privileged to wander so often. Of Rae so generous and vibrant, delivering a whole ute load of spinning gum branches. Of Leslie and her twisted willow and I see her smiling face. Of mum, delaying the cutting of her ivy so we would have long stems for the day. Of Susie who sat with me for five hours, she at her machine and I at mine and we made metres and metres of bunting. Thank you to so many for all their love and support, It really makes a wedding when so many people are intimately involved. It's taken us a lot longer to recover than I thought. We have physically worked jolly hard, but I had not accounted for how emotional the whole experience is. Add to that the precious time you are trying to see family members in a small window of opportunity. As I came over the rise on the Friday morning it was good to see the marquee up and ready. This spot is right on top of rolling hills above a valley and offers sweeping views to the north, east and south. The farm is called "Hillcrest" and it is situated at Pawleena. I will hopefully provide more details in another post when Brad gets his social media links organised but it's just one of the jobs on a long list for this energetic farmer who breeds beef for the wagu industry. Set up took a couple of days for this "simple affair" and the flowers couldn't be done until the day because possums and wallaby would have come through during the night and eaten them. The hay bales used for seating couldn't be done until the day either otherwise the cattle would have broken through the fences to eat those too! I don't have many photos, there literally was NO time and I was working against the clock to get it all up on Saturday and still get home and get ready. The HOTTEST day in Tasmania in March for 109 YEARS! The flowers did not like it and I was glad I had made the centre piece from dried as I had been watching the weather and changing my plans on the fly. March in Tasmania is typically gentle; full blue skies, kissing breezes and sunny days...but you can't control it so you've just got to do the best you can, and in the end, everything is always "perfect" anyway. Unconventionally, Mark and Ted arrived in the same car and they came down the aisle together. 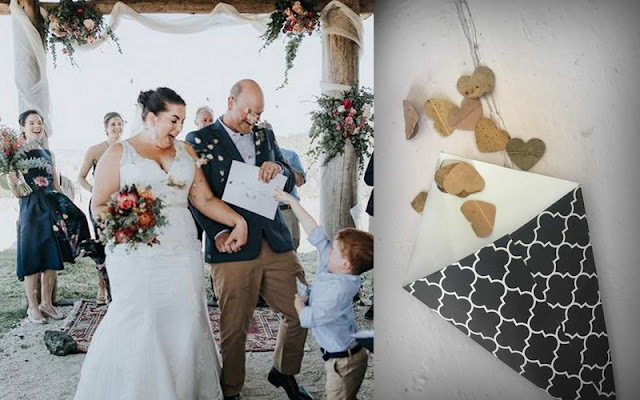 They have been together a number of years now and coming down the aisle together symbolised their continuing journey with the formalising of their commitment in ceremony. I have felt for a long time now that are families are entwined and it felt right to me that she was not walked down the aisle and given to another and that their relationship is acknowledged and solemnised. "Good afternoon ladies and gentleman. My name is Izaac. I am Tegan's brother, and believe it or not, being the all-round guy that I am, I am actually a registered Marriage celebrant." I laughed. What new frivolity now? My first reaction was No! Noooo! Really? NO!!! Tegan said "Come on Mum, it's only a Cert IV"
What a big secret to have and to keep for so long. Izaac with the help of his partner, friends and his other sisters had to study and do exams and mock wedding assignments for the past 12 months and literally got his registration completed within weeks of the wedding. Their vows were beautiful and straight from the heart and experiences. It was a privilege to be part of such a special intimate moment. The ice-cream truck came over the hill with it's jingle playing and nobody was fist pumping the sky greater than Julien. It was ultimate excitement and a very good way to serve desert and a perfect solution to the dilemma of keeping yet more things cold in a paddock. The bride was pretty stoked too. and I took the grandbabies home to bed. 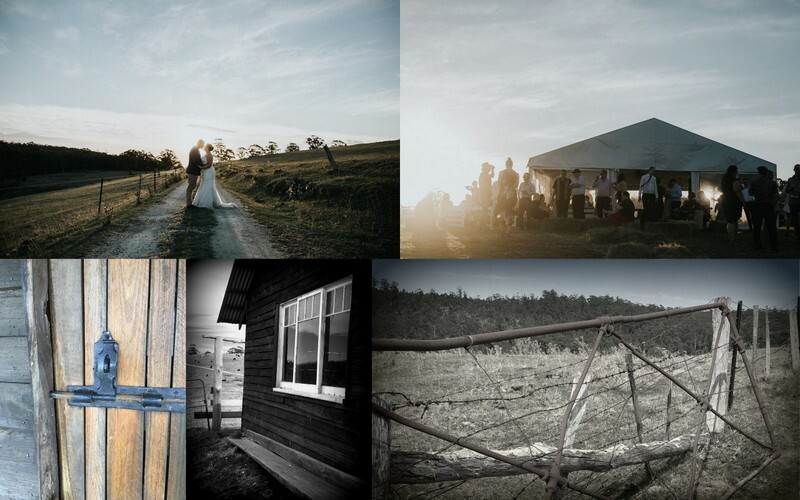 A wedding like this does not come together over-night nor without the help of many, many people. Mark and Ted had a wonderful team and support network and I would like to thank all the family and friends who came together. Her bridesmaids were amazing and so kind and supportive and worked tirelessly for months and I thank them especially for looking after my girl x. And then we packed up and it all vanished like magic, leaving just the view, the cows and the memories. for their love, support co-operation and hard work. Get set for another before and after story. This time we feature the original Georgian floorboards and their stories. 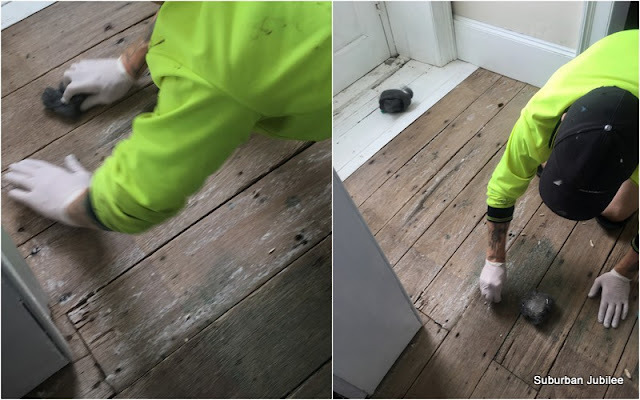 Like every other room, the hallway was scrubbed and scrubbed dozens of times with a pericarbonate solution because of the cat destruction, leaving the boards stripped and dry. The entire area was prepped by a thorough clean down with methylated spirits. Beeswax was gently melted in a ratio of 2:1 with Gum Turpentine. This creates a pliable, softish wax that is skimmed lightly across the boards to put down a thin layer that is then worked and polished with ultra fine steel wool (like size 0). 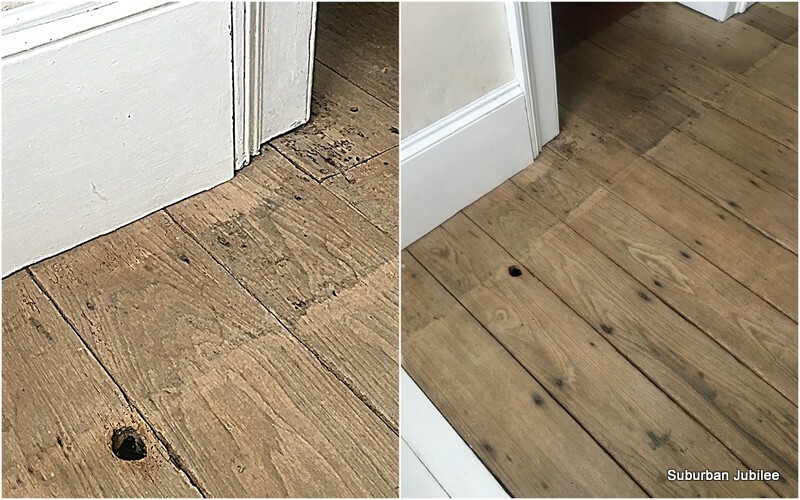 The friction creates warmth and spread the wax in an even layer and helps it to penetrate the timber fibres, nourishing and evening, leaving a hard protective coating but most importantly, a breathable finish. Rather than plugging holes and filling nail heads, we leave in full view the tribute to a time when every nail was hand made. Many people are tempted to sand back to perfection and then coat with a polyurethane finish. I find this natural product and glowing finish to be the perfect treatment as we step as lightly as we can upon the history. If I appear a little quiet....fear not for I am busily putting together the wedding decorations. My eldest gets married in just under three weeks and I am trying to coax the flowers to ignore the sweltering heat and keep coming towards fruition. Working with living things and trying to plot their course on a calendar....isn't it exciting!!! oh and we'll be in a paddock don't you know. I've been watching a lot of floristry tutorials to learn how to do really large scale event pieces. Fingers crossed. again, a bit vague on a colour story so I have chosen to pull out the accent colours within the Persian style rugs that we are scattering everywhere with straw bale seating. 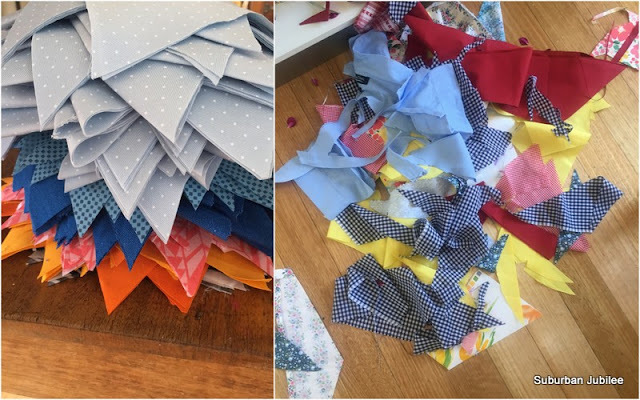 The upside is that the stash is getting a really good bust-a-long and thank goodness for the invention of cutting mats and wheels. My very clever man also zipped out to the shed and knocked up a template for me in lovely acrylic so I can cut accurately and quickly. All the while it is coming into preserving season and I am pressure canning lots of vegetable soups, curries and casseroles for shelf storage to try to use up the zucchini glut. So I am still here, just reeaaalllyy busy. 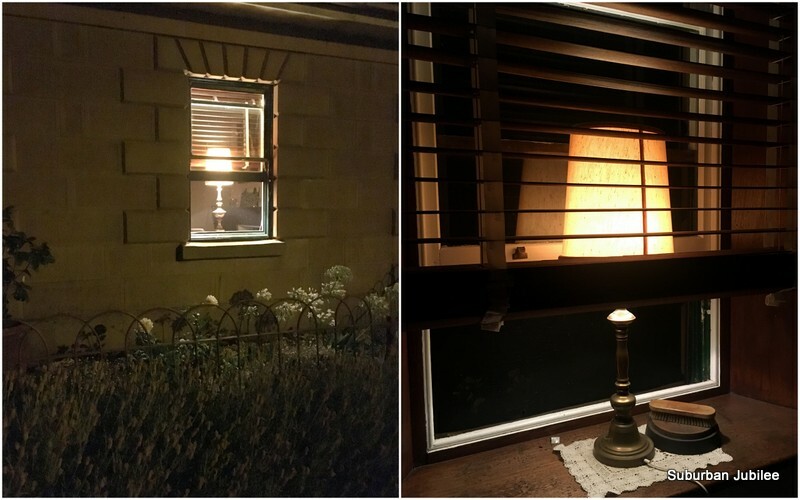 We are known for our lighted windows here at Garfield House and it carries on from a very old tradition. Being on a main road, many travellers pass our door and just as in times of old, our lights show there is hospitality within, a safe haven or a helping hand. Can you imagine making long slow journeys by horse and cart into areas unknown and without the convenience of modern communications or lighting? 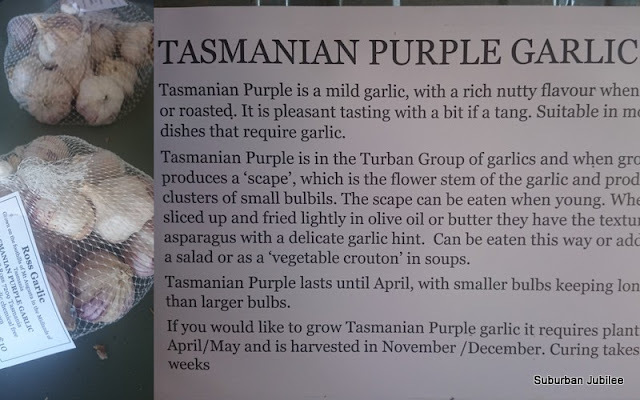 Particularly here in Tasmania in the winter months. I remember as a child, many homes would have their porch light on symbolising friendship and welcome. Less so in these economic conscious times when we only tend to use a light to see our way. Many things have changed but we are still here helping to light the way and sometimes it means as little as just helping someone mark the distance off. Seeing the lights of Garfield House and knowing that their home is not far away. Or sometimes it means a lot to someone travelling home from a funeral, feeling sad and lonely and knowing that within is a shoulder to cry on and comfort to be had. 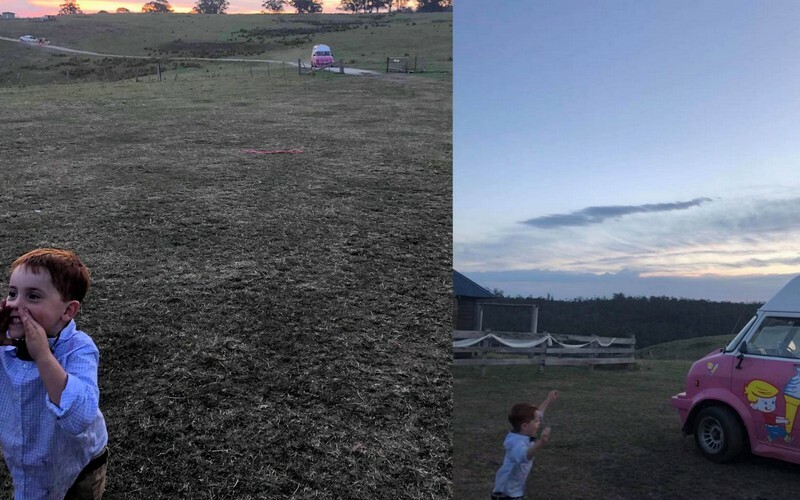 Sometimes it is other mothers' sons off on an ill-prepared adventure and a late night break down. Perhaps even more so in this fast modern world, we need to be a light for someone. It is often a hard thing to reach out for help, but a welcoming light offers encouragement. I want you to think about shining your light for others too. 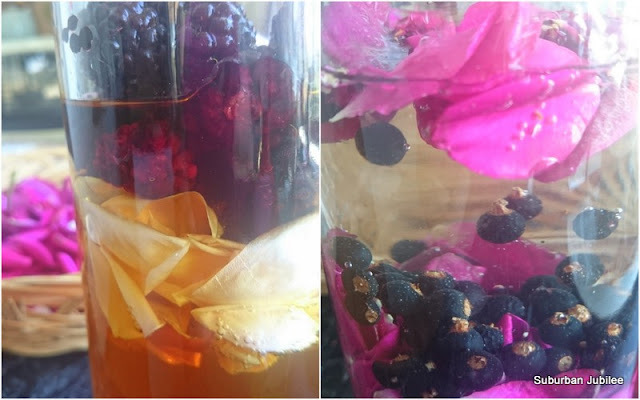 I find real value in growing roses for the kitchen and there is nothing more heavenly than rose petal jam on scones but this week I have been experimenting with some flavours for naturally fermented shrubs to mix with soda water on these fiercely hot summer days. You may have seen various recipes for rhubarb "wine" or elderflower "champagne" which use similar processes but I'm allowing the fermentation to go just that little bit further and allowing the sugars to be eaten by the natural yeasts and yielding something a little more towards vinegar. This is "Dark Desire" and the paler petals are from "Nahema". the former is a classic heavy rose perfume but the later is sweeter and more reminiscent of lemonade and also the basis for Guerlain perfumes. I've used my large #36 Fowlers Vacola jars and simply added a large handful of fruit and a double handful of petals, added water and sugar and covered them with a piece of paper towel with a rubber band to hold it in place and left it to ferment in the ambient mid to late 20C temperatures inside. I haven't sterilised anything or purified the water or mixed a precise recipe. This is simply a natural process using centuries old practices and principles. Once you've dipped your toe into the fermentation world you'll realise we over complicate things unnecessarily and wild yeasts and bacteria can be very helpful friends. Occasionally I stirred and muddled the ingredients and sipped occasionally to test the progress until after a few days I declare it "done" and to my liking. The drained pink elixir is now bottled and refrigerated to stop the fermenting process and ready to mix with sparkling water for a real thirst quencher, packed with plenty of flavour but not the sickly sweetness that other "soft" drinks offer. 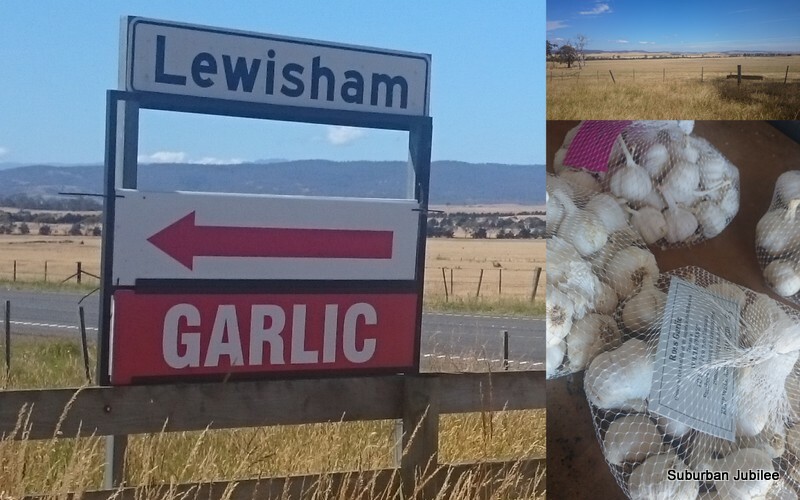 Garlic is harvested and ready to go now and if you are travelling between Campbell Town and Ross on the Midlands Highway, take the opportunity to stop in at "Lewisham" and choose from three different varieties that they grow organically. The ever popular "Tasmanian Purple". 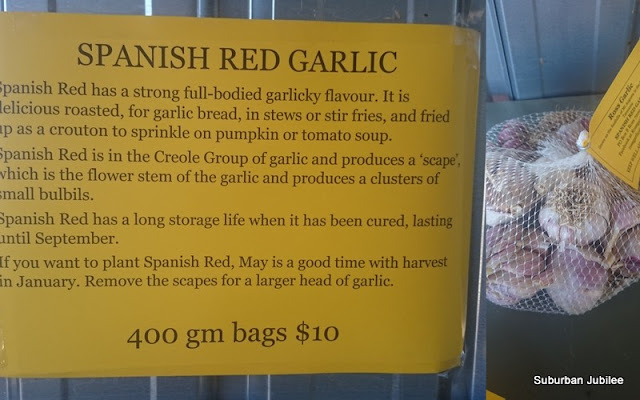 The garlic is crop rotated every year and grown without any pesticides or fungicides (Rae Young's discussions about soil health and microbiome positively make my head spin but excite me at the same time!) and hand weeded. As you can see from the photos, the Midlands is a very dry area and lends itself to very good bulb growing, however it would be a fallacy to think they don't require any water, and conservation methods are employed on the farm. c) perfect for planting if you would like to try some home growing yourself as they have not been sprayed with any sprouting retardant. e) support a local farmer. So look out for the bright red garlic sign below the property name. 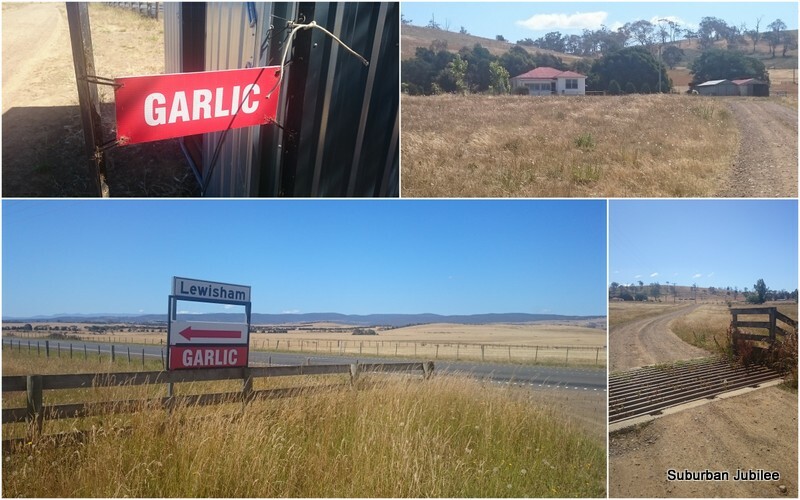 Go through the open gate on the western side of the highway and travel a short distance around the bend past the little cottage, till you see the small tin shed with the garlic sign on it. There are a couple of ways to pay, you can leave cash or make a direct deposit and all the details are in the shed. 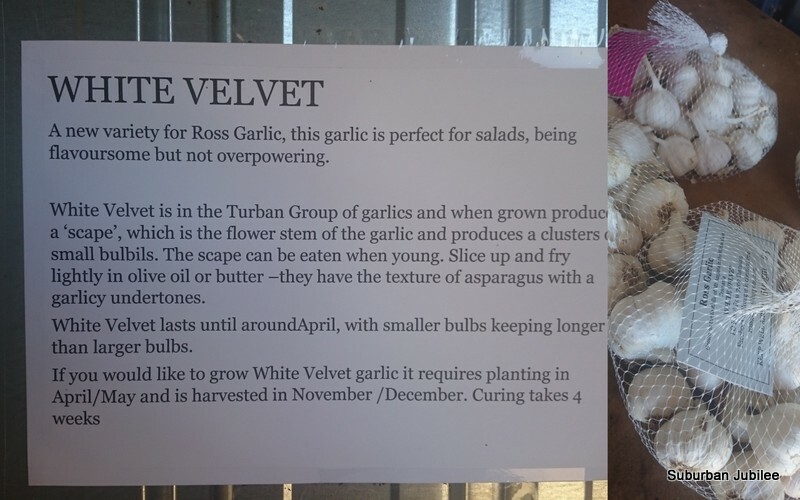 Once you get your garlic home, keep it in any airey, dry, dark place so it will last for months and months.